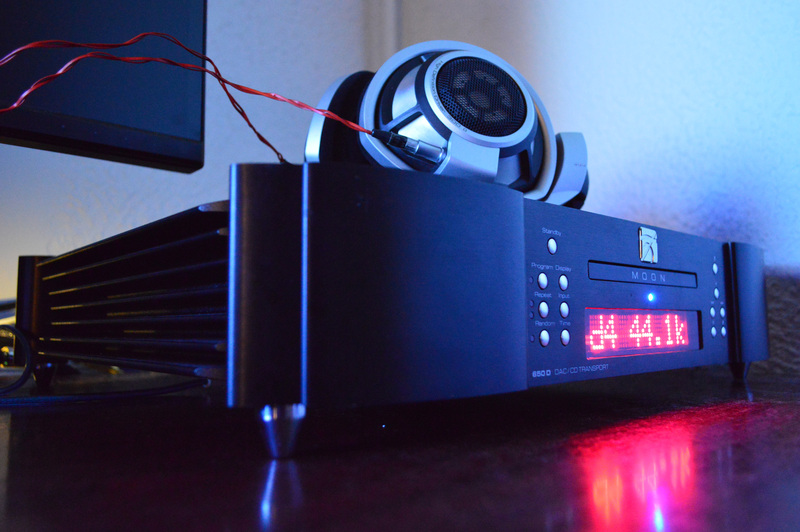 However I really have something special prepared for this review: the Simaudio Moon 650D DAC . After I have listened to the Msb Analog Dac I haven’t stop thinking of it and also never looked with the same eyes at my home system. What has been heard….cannot be unheard. 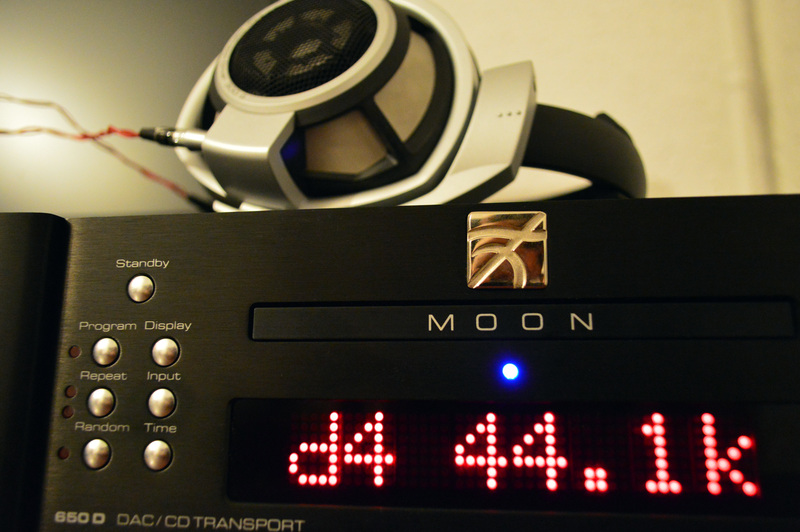 I thought of starting to check out some other DACS meanwhile and I am lucky to say I got the Moon 650D for this review. I just love how it looks, especially in the black version. Both design and build quality are very good. The chassis is truly impressive. As it says int the specifications, it has an ultra rigid chassis construction with the purpose of minimization of the effects of external vibrations. It feels like a small deluxe bunker. This is a 2 in one unit: DAC & CD Transport. You can find the full specifications and features here. The 650D is the little brother of 750D which is 4000$ more expensive. Both have similar digital and analog circuits, but not identical. If we look inside the first impression is that is kind of empty. Where are all the circuits? Well, Moon used four layered boards as with 750D, so imagine a single layered board ~4 times the size of what you see there. The 750D usese 24 stages of voltage regulation, the 650D 18 stages. Both are fully balanced in design. 650D has the same Simaudio’s Moon Asynchronous Jitter Control (M-AJiC) as it’s bigger brother, which is designed to reduce internal jitter to 1 picosecond . The CD player is a part of Simaudio’s proprietary M-Quattro Drive transport, mounted on a gel-based, four point floating suspension. On the rear panel you can see all inputs: S/PDIF via RCA, Toslink, USB, AES/EBU via XLR. You can also see here the analog outpus: S/PDIF, AES/EBU (XLR), IEC power chord intlet, A RS-232 port for firmware updates, a SimLink for communication with other Simaudio components and two XLR connectors for an external power supply that is sold separately. Ok let’s get to what we all are waiting for : the sound. The tests have been done with Burson Conductor , Audiobyte Hydra-X as usb interface, Sennheiser HD800, Moon 650D & PowerInspired AG500 which powered both Conductor and Moon. 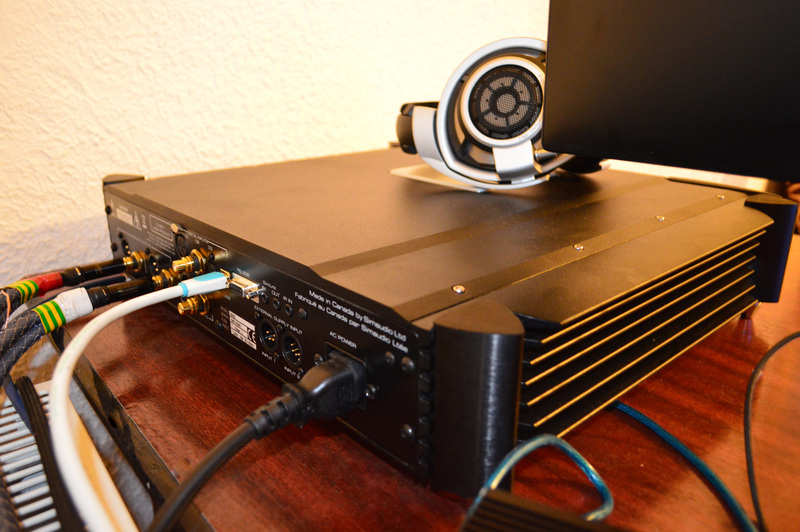 I have tested Hydra-X with 650D, but I am pleased to say that the usb implementation from moon surpasses the results from hydra and moon’s coaxial input: faster more natural decay, better transient response, more details, better soundstage. Hydra has a little more bass but it is a little more lazy, giving a more deeper bass but not as controlled. This could mean 2 things : the usb input from 650d is better than it’s coax input, or the usb input from 650d is better than hydra’s. What is important is that I did not feel it was necessary to buy an external usb interface for the 650D as it already has a very good one. Later on I found that the slow decay wasn’t hydra’s fault, it was the W&M coax cable attached to it. I have found another cable that brought it a lot closer to 650D’s usb input. Who said cables don’t matter? Let’s check the sound on some songs. Those guitars that start with the song are fantastic. The plucks are tickling my ears. The drums have a very good impact and the voice is very natural. All the instruments are very well placed and very present through the very airy scene. I got goose bumps more than twice on this song. This song plays with the sounds and location of the sounds and the 650D performs wonderful in this regard. The Chinese instrument is amazing as it shows the very good extension of the treble which is not at all bright. The bass is very well extended, controlled and has a excellent impact. Ok, I got goosebumps again. This song starts with some very subtle sounds that with HD800 & Moon 650D weren’t so subtle any more, but very present and detailed. The guitar is holographic with a wonderful extension. The flute from the beginning is amazing. It has so much texture and presence that it caught my attention instantly. The drums are so fine that you want to go to battle at the end of the song. Should I tell you that I got goosebumps again? The sound is so opened so airy, so detailed, that when Enya starts singing if you close your eyes you can see Rivendell. Her voice is wonderfully extended and really makes you stop from whatever you are doing and just listen. The orchestra is equally impressive, detailed, very well placed into a large soundstage. From the beginning you know you are going for a ride. The voices are extremely detailed with rugged texture and incredible layering. The guitars have an excellent extension and just play from one layer to the other with ease. The voice has depth and presence and the drums made me feel like in the ACDC concert from Bucharest. Leonard’s voice struck again as it was excellently reproduced by the moon 650d which captured the essence of his rugged voice and made me feel like I am in studio with him. The voice was so textured … so rugged that I felt like coughing to clear my trout. WOW. The scene is so opened so airy, every instrument has a very precise location and the sound is extremely well layered. The transient response is amazing, the decays fast but still natural. You can hear every little sound from the orchestra. The micro details are incredible. The plucks from the beginning are something to remember. While the guitars go into a more distance layer they maintain their impact and their tactility over the song showing the quality of the dynamics and micro-dynamics. The bass extension and punch are top notch as well. Loreena’s voice combined with all the instruments just gave me goosebumps again. The bass is very well extended with excellent punch and control. If you are listening to a war song with drums, at the end of the song you will be ready for battle. The mids are wonderful on the whole spectrum from lower to higher mids. Every instrument has presence and extension. Both female and male voices are mesmerizing. The treble has a very good extension and by no means is it bright, not even with HD800. This is one thing that pops up from the start. You can hear sounds from the studio while listening the the song. If you listen to an orchestra you can hear the conductor move or breath. With guitars you can hear how the fingers touch the chords. You can hear/feel the instruments at whatever level / layer they are. The transient response is amazing. Every sound has impact and energy. The decay is fast but natural and combined with the excellent transients, it gives energy to the music. Both female and male voices give you goosebumps and make you feel that you have the singer near you. The soundstage is large and the imaging pinpoints the location of the sound with ease. If you close your eyes you can see all the instruments in space. 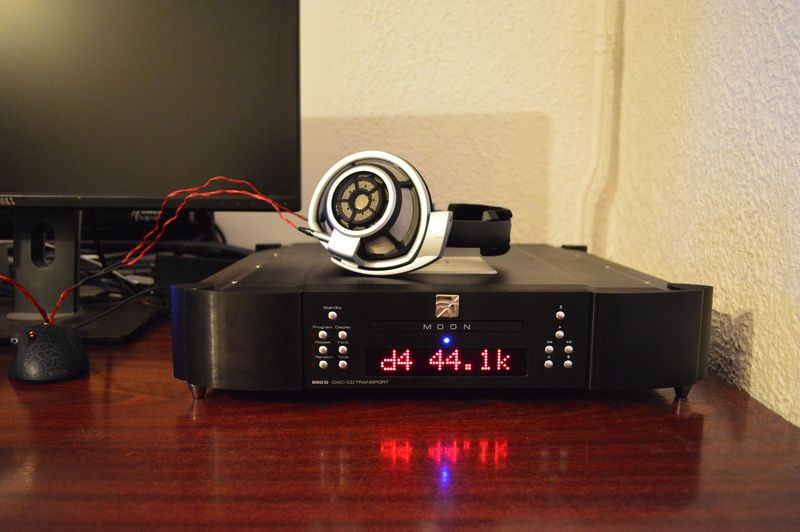 This DAC really took me through a wonderful listening experience. 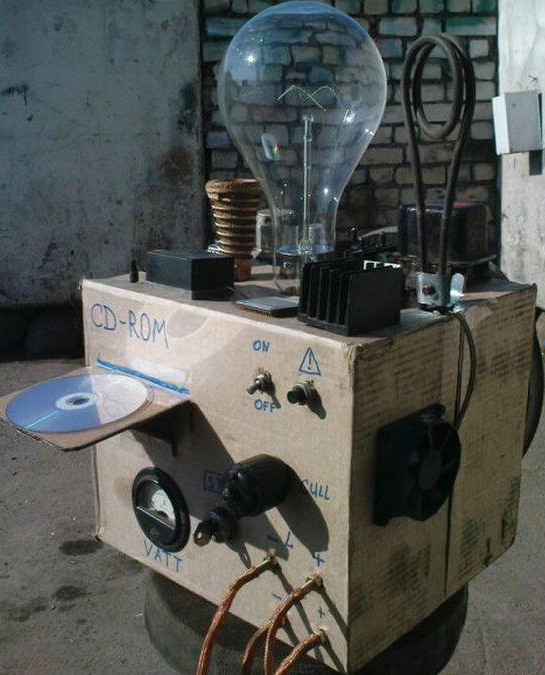 You will ask me if it beat the Analog Dac. Well, no, it didn’t, but it was still a wonderful experience. The Analog Dac is still my dream dac. These 2 are in a similar price range, but don’t forget that the Moon 650D is a CD Transport as well and has all the inputs / outputs you need by default, as with MSB you have to pay 1000$ for any additional input you want. The moon is also fully balanced. 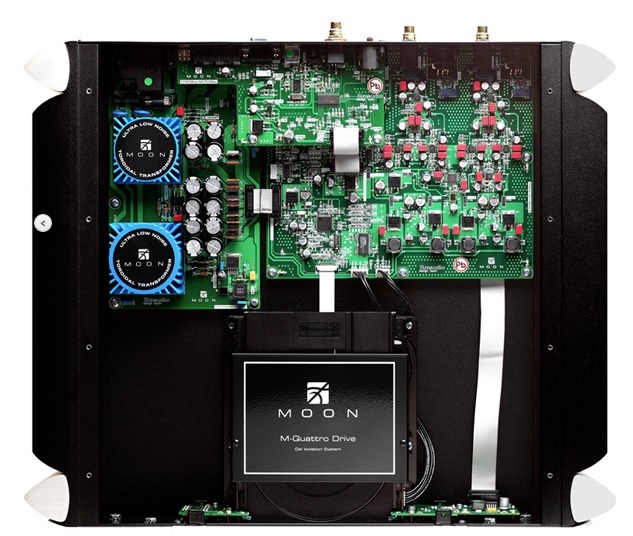 Overall, the Moon 650D was one of the best DAC I have tested, but falling behind the MSB Analog Dac.